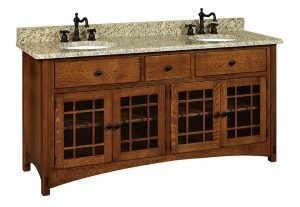 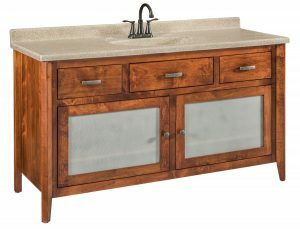 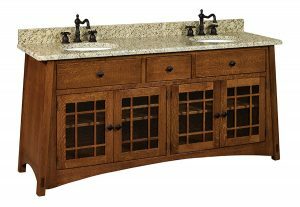 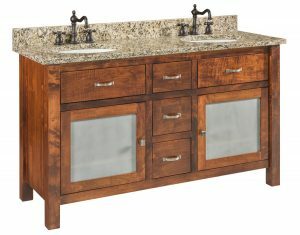 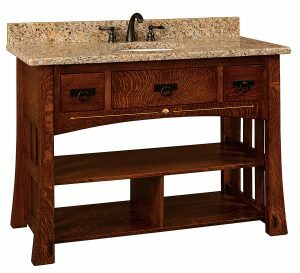 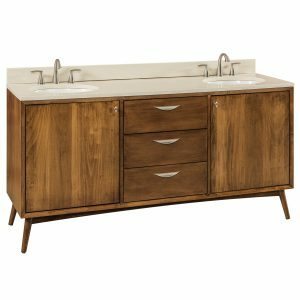 Amish Showroom builds custom and semi custom bathroom vanities from solid hardwoods. 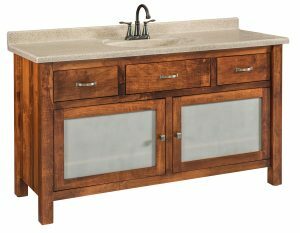 We build vanities for contractors, or the do it yourself crowd! 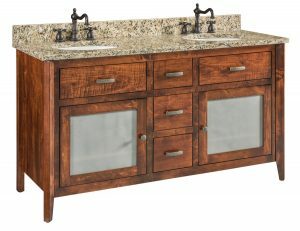 Our American made bathroom vanities come in many standard sizes. 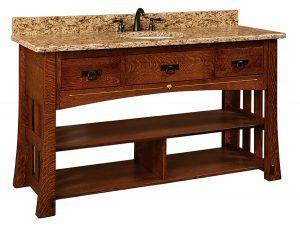 We can build custom sized quartersawn oak vanity’s, or any of our other wood types upon request. 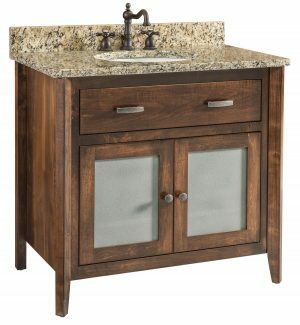 Standard vanity sizes are listed and tops are sold separate. 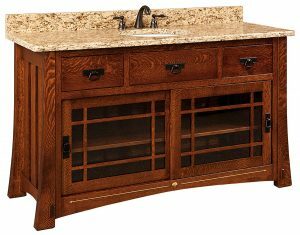 Never hesitate to ask, as we probably have built one for someone else. 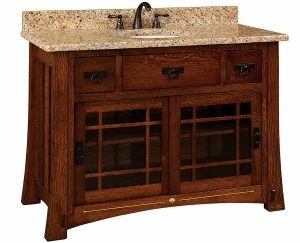 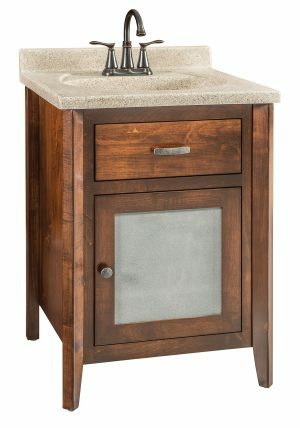 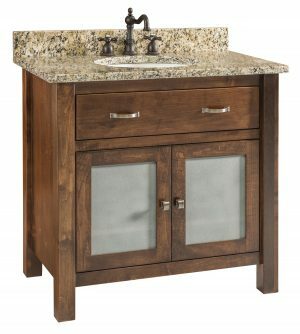 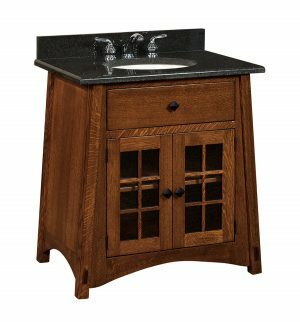 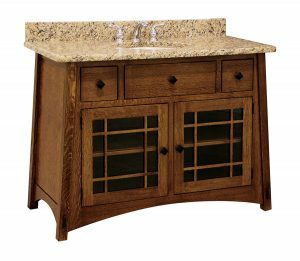 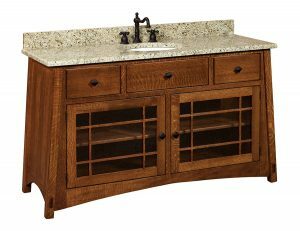 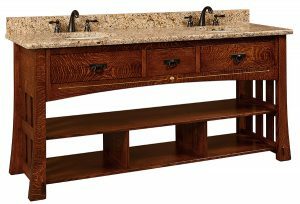 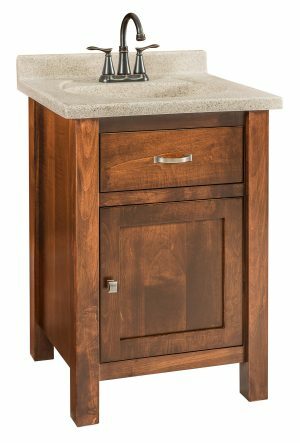 Build a custom bathroom vanity can take from 8 to 12 weeks, unless we have in stock. 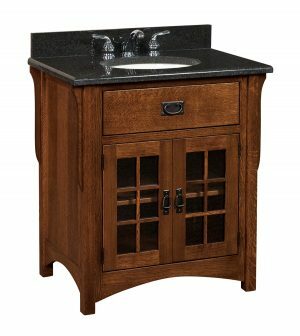 In stock “kit” vanity units will be shipped by Fedex the same week of the order. 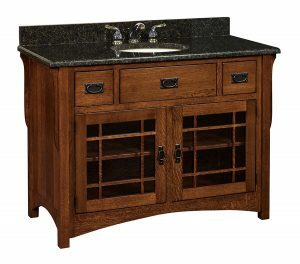 All other vanity’s will ship by truck.